Hawaii’s Kilauea volcano has erupted anew before dawn, shooting a steely grey plume of ash from its summit about 9,100 metres into the sky that began raining down on a nearby town. 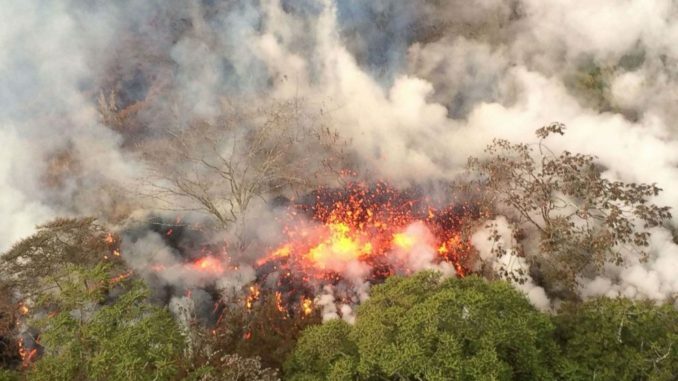 “This has relieved pressure temporarily,” US Geological Survey geologist Michelle Coombs told a news conference in Hilo. 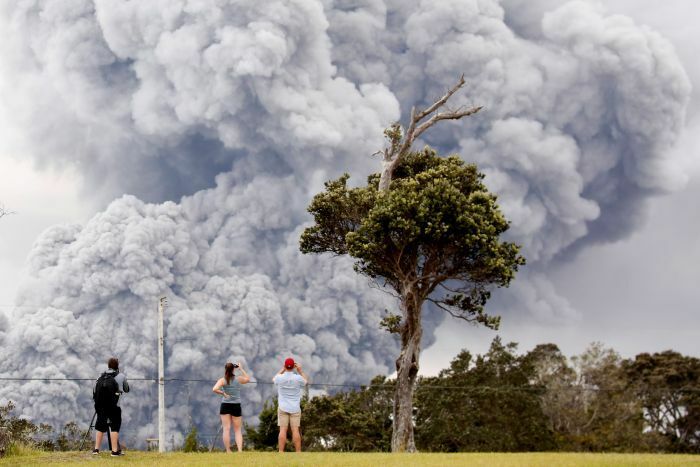 The explosion happened about 4:00am (local time) after two weeks of volcanic activity that sent lava flows into neighbourhoods and destroyed dozens of homes. Today's Hawaiian eruptions, by Primary Focus Hawaii. Do not order Fish tacos from an Irish Pub. Meghan Markle battles racism in Britain while preparing to marry her prince.